Born in Detroit, raised in Warren, MI, and a 2006 graduate of Warren Mott High School, Staff Sergeant Marcus Bawol enlisted in the Marine Corps in 2007 after his freshman year at Olivet College, where he played baseball. SSgt. Bawol enjoyed country music, was a Detroit Tigers fan, and enjoyed playing guitar. Upon completion of basic training in October 2007, he attended Marine Combat Training and military occupation school where he became a Field Radio Operator. SSgt. Bawol’s first duty station was at Camp Lejeune, NC, with 2nd Intelligence Battalion, Headquarters Co, where he deployed with Humint Exploitation Team Four as the team’s communications subject matter expert until April 2009. After graduating ITC in May 2012 SSgt. Bawol became a critical skills operator and received orders to Camp Lejeune, North Carolina to serve with 2nd Marine Special Operations Battalion as the Team Communications Chief. He deployed in support of Operation Enduring Freedom. SSgt. 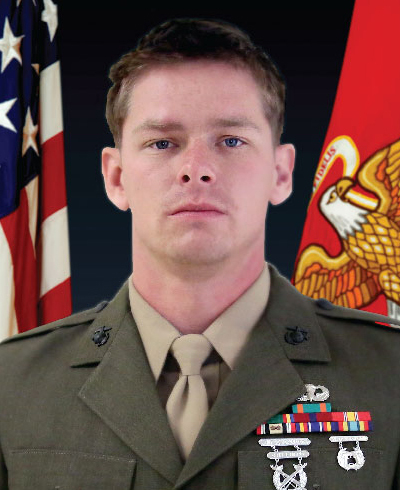 Bawol’s personal decorations include Navy-Marine Corps Commendation Medal, Navy-Marine Corps Achievement Medal, Combat Action Ribbon and Good Conduct Medal.